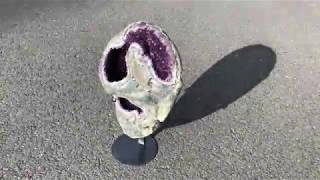 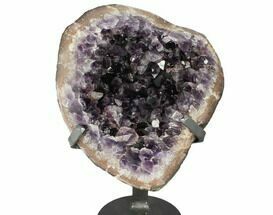 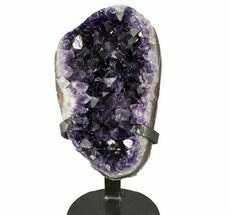 This is a gorgeous, dark amethyst crystal geode on a custom metal stand. 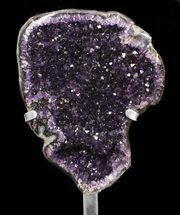 The cluster itself is 14.4" tall and the edges have been polished. 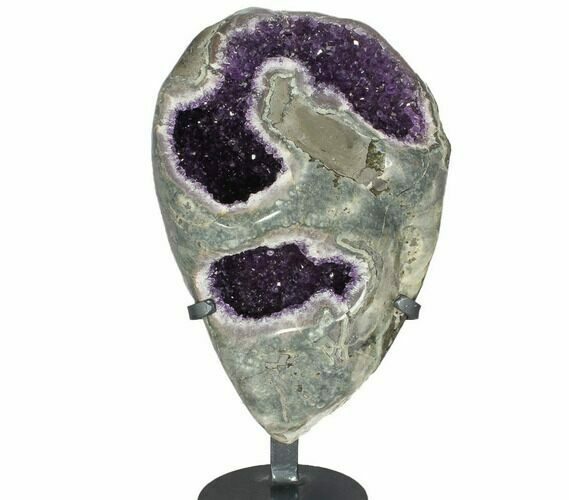 On the stand the entire display is 16.25" tall. 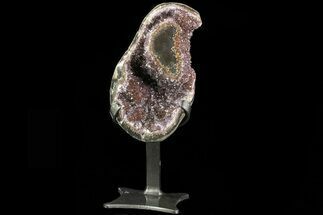 Two polished cavities act as windows into the geode, with the smallest opening occurring towards the bottom of the geode. 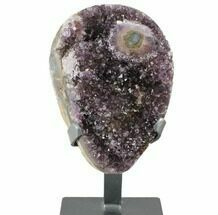 A top quality amethyst piece, and a stunning display.